Sysessential for MSG to MBOX Converter embellished with vast set of features for converting large amount of MSG files into BOX file format. This leads to access data in MBOX files. Post conversion, MBOX files can be opened into several emailing application such as AppleMail, Mozilla Thunderbird, Eudora, Spicebird, Entourage, PocoMail, Evolution and many more. Just after export of MSG files into MBOX file format, users can view emails in MBOX supporting emailing applications including Entourage, Thunderbird, NetScape Mail, Poco Mail, Eudora, Mac Mail, Turnpike, SpiceBird, Earth Link, Mail Copa,Berkeley, The Bat and many others. The program is low in cost but high in functionality. The cost of the tool will not pinch your pocket any moment. This application is absolutely fine to work with. An affordable price does not mean that quality is compromised. The Metadata info during conversion is fully maintained. It retains Metadata properties such as To, Cc, Bcc, Sent date/ received time, subject line, images and so on. It is perfect to keep all the records such as status of emails such as read/unread, crucial emails and so on. If you want to convert few MSG files into MBOX then you can move single file one by one. Another option is to make complete migration by selecting batch mode of converting bulk MSG files at one go. Sysessential for MSG to MBOX converter is supportive of working with all the MS Outlook editions such as 2016, 2013, 2010, 2007, 2003, 2000, etc. Software is supportive of converting MSG files of almost every file size limit. If you have heavy sized MSG file for conversion then also tool can migrate seamlessly. IS there any need to install MS® Outlook on computer machine before commencing MSG into MBOX export? Will it be possible to import MBOX files into MBOX supporting MBOX emailing applications? Yes, the possibilities are higher. Software only converts MSG files into MBOX after commencement task gets over export into MBOX supporting email applicton is for sure possible. Is software supportive of current Windows OS editions for converting MSG files onto MBOX? Will software create single MBOX file to save bulk MSG files? Software supports saving bulk MSG files into single file. This will be an ease for you because you can access entire data into one file which is like an ease at user’s end. Will software keep Metadata info, folder hierarchy and fomatting as it is? Software consisted of many unique abilities like it never ever affect folder hierarchy, formatting and metadata properties as it is. Thus whenever you access emails after conversion into MBOX files, email structure and other details remain same. This is worthy feature in the tool. Is application hassle-free to work with? Yes, application is complex-free to work with. 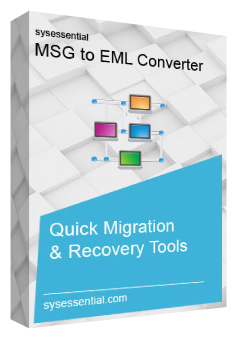 You can run the application whenever you want and make swift migration of emails from MSG files into MBOX file format. The entire conversion process gets over in few minutes. If person is new to computer technology then also user won’t feel troubled at all.